A shift is taking place in higher education so that teaching is approached not only from content and from teaching methods, but also from the mental actions that are crucial to functioning in a discipline. Decoding the Disciplines employs a systematic scaffolding to lead students through the bottlenecks. Students operating within a decoded class are not only more likely to learn to overcome specific bottlenecks, but also gain an understanding of the underlying ways of operating in the discipline. Such an understanding allows students to generalize what they have learned and use their new understanding of the discipline to avoid other potential obstacles. Instructors will apply an interview protocol to advance joint conversations to deepen students learning. They will use analogies to make the study of the discipline more accessible and rethink and strategize course experiences. Note: Joan Middendorf’s specialty lies in leading faculty groups to make disciplinary ways of thinking available to students. 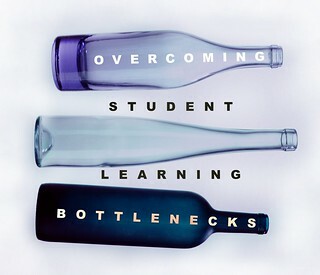 With David Pace she developed the “Decoding the Disciplines” approach to define crucial bottlenecks to learning, dissect and model expert thinking, and assess student performance. Joan and the History Learning Project (Pace and Professors Arlene Diaz and Leah Shopkow) were awarded the Menges Research Award from the Professional Development Network in Higher Education and the Maryellen Weimer Scholarly Work on Teaching and Learning Award.